A classic is fabulous, but a classic with sparkle is amazing! Alexia has been begging me for a pair of Sperry Top Siders so I finally caved this weekend and treated her to a pair of new shoes. Of course, she chose the most girly-girl, sparkly pair of Sperrys in the store, the Authentic Original Glitter Boat Shoe. I've loved Sperry Top Siders for years and love the colors, textures, and styles that are available now. 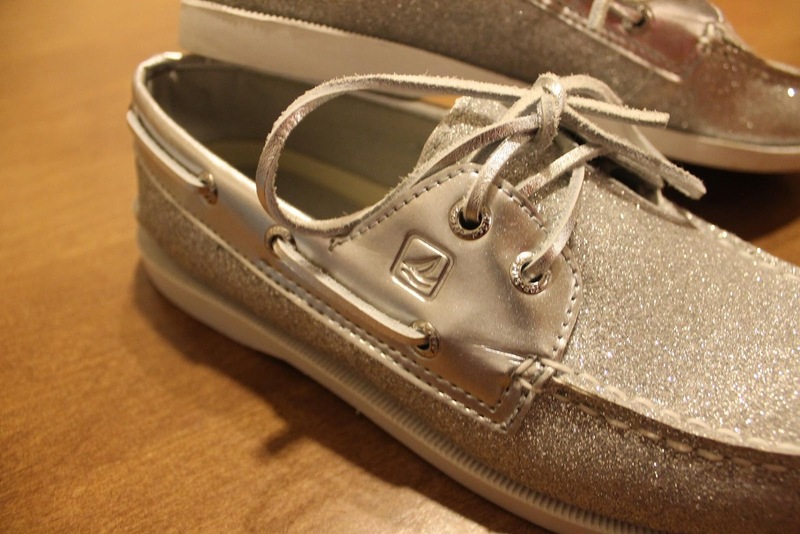 Purists insist on the old school brown leather Sperry boat shoes, but for a 10 year old girl, sparkles are the magic ticket. Isn't everything better with a little bit of glitter? She's thrilled with her purchase and I'm thrilled that she is making fashion choices that are acceptable to me! I spent probably the better part of an hour after the purchase talking about how I wore Sperry Top Siders when I was her age and that good style never goes out of style, blah, blah, blah. It was a nice dose of nostalgia for me, even though she declined my offer to tie the laces into the beehives. She didn't think that it would be so cool. Here's Alexia's outfit for today. She's very particular about what she wears to school, so she carefully selects her complete outfit including accessories and shoes every night before going to bed. She couldn't wear her new Sperry Top Siders yesterday because she was on an all day field trip on Sugarloaf Mountain and didn't want to risk getting mud on her shoes! What trends or styles does your child like the most? 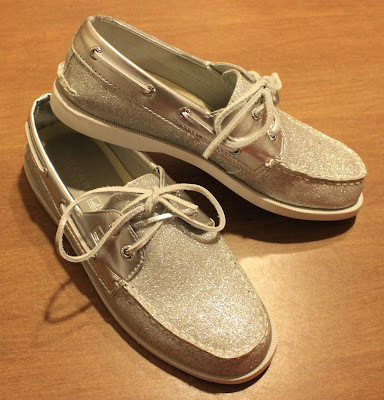 In case you were wondering, Sperry Top Siders are on my list this spring, too. The Sperry collaboration with Milly is amazing. 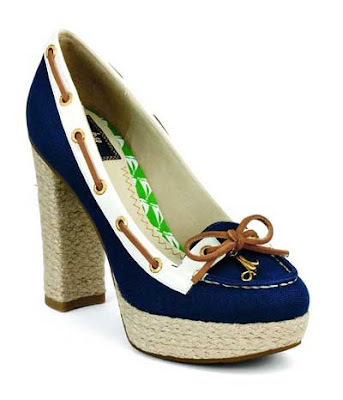 I have my eye on these Canvas Pumps in Navy. 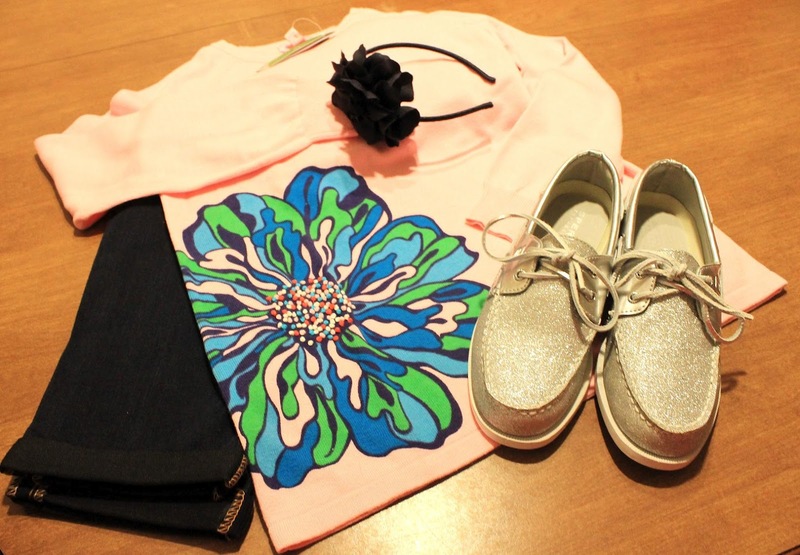 Those glittery sperry's are fantastic! I think I need a pink version for spring. My 3 year old is obsessed with purple and has to wear it every day-I am so tired of purple! I fall into the 'only brown' camp personally but love your daughter's enthusiasm! I always wished I could pick out my outfits at her age instead of wearing a uniform! Do they have those glitter sperrys for women?!? I love them! My 9 year old loves these shoes. She got them in January and has worn them almost everyday since. Thankfully, we've had almost no snow here in Massachusetts so we've gotten our money's worth!